At 96% smaller than a traditional desktop tower,the M710 Tiny is extremely compact. This tiny desktop fits just about anywhere and can be positioned horizontally or vertically-mount it on a wall, behind a monitor, or even under a desk. You can even power digital signage with a PC that's easy to hide from view. It delivers reliable, professional-level performance, while freeing up valuable desk-space. 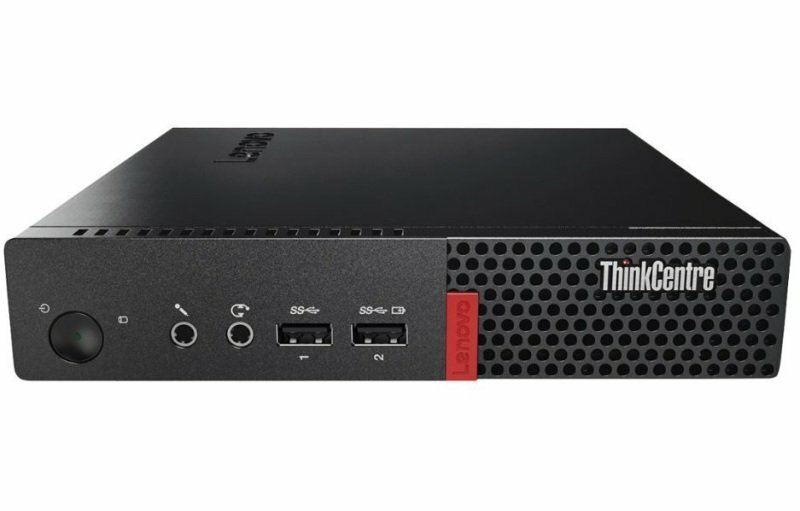 The ThinkCentre M710 features a small footprint yet delivers heavyweight performance. With up to three independent displays, or four displays in Mosaic Mode, this Tiny PC expands the limits of desktop computing to enable greater productivity. Ideal for financial and creative industries-and all your multimedia, multitasking needs. Don't be deceived by its miniature frame, as the ThinkCentre M710 Tiny punches well above its weight. Equipped with a 7th generation Intel® Core™ processor, you can power up in a flash. Intensive tasks like multimedia creation, graphic design, and number-crunching are a walk in the park.